Is Twitter, a social media dinosaur, about to become extinct or is there life in the old dog yet? Twitter is one of the oldest and most well-established social media platforms, having been created in 2006 (two years after the advent of Facebook.) While the site is still a firm favourite with original users, who remain loyal to its relative simplicity and restricted character limit, new sites like Tumblr and Instagram are snapping at Twitter’s heels with a younger and increasingly more influential set of users. So, is this social media dinosaur about to become extinct or is there life in the old dog yet? Twitter has remained pretty constant since its conception, sticking to its restricted word limit concept as a USP (though this has now increased from 140 to 280.) Twitter still forces its users to focus on what they want to say, cutting out waffle and conjecture. Many users enjoy this restriction, but as sites like Reddit and word limit as its defining factor, limiting posters to a set number of characters (now increased from 140 to 280) in order to make them focus on what they really want to say. But as blog-based sites like Reddit and Tumblr rise in popularity, it seems we may increasingly require more space to air our views. While Facebook has moved through various changes (adding a buy/sell marketplace, pay per click advertising and suggesting content to users, for instance) Twitter remains relatively and comfortingly unchanged, a fact which ensured many original users remain loyal to the platform. As more and more social media sites come to market, however, the younger generation is starting to expect more variety from sites. Twitters lack of innovation may soon become a drawback rather than a USP. Like Facebook, Twitter does now offer a range of paid advertising options which help to attract new users and bring in revenue. For some time now, large and small brands have taken to Twitter in order to directly communicate with customers, using the site as a free platform both to advertise and interact. It’s also very easy for customers to get in touch with companies, accessing the Twitter app via their phone or tablet in order to fire questions, concerns, suggestions and comments at their favourite big brands. And they have a great chance of receiving a reply too – making it easier than ever before to truly engage with your favourite brands. Another unique feature of Twitter is the fact that the site makes it perfectly acceptable to interact with a total stranger, something that is frowned upon and problematic to Facebook users. Our Facebook ‘friends’ tend to be people we spend time with in real life, with an added layer of colleagues and acquaintances that surrounds our inner circle. The site offers the chance to build networks of shared connection and, to a large degree, our Facebook ‘friends’ will share many common interests and preoccupations with us. Twitter allows us to form less lasting and meaningful but, perhaps, more interesting and challenging connections with strangers, whether on a personal or business level. Our conversations are often fleeting and shallow, but many of us prefer this to Facebook’s requirement to stay constantly involved and connected. Unexpectedly, Twitter has become a great platform for social change. The campaign (hashtag) blacklivesmatter, for instance, wouldn’t have gained so much publicity and momentum without trending on the site. Whenever a big event, positive or negative, occurs – Twitter is amongst the first to see it trending as users begin to engage with what’s happening in real time. Twitter has the capacity to bring people together and make a big difference to what’s going on in the world. From the early days, however, Twitter has suffered from the publication of fake news stories, spam and various types of abuse. It’s also become a platform for individuals and organizations to hammer home political agendas, which some people find off-putting, preferring their social media sites to be places of pure fantasy and fun. Some African governments have gone as far as to cut off all in internet provision in their countries around election times, claiming that the sharing of fake news stories on sites like Twitter has the capacity to alter results. Many people also worry about Twitter’s safety. The site makes it shockingly easy for an individual to create a multitude of fake profiles, making the potential for cyber-crime and bullying a real concern. As an organization, Twitter seems to have done little, so far, to address this issue. With this ease of anonymity, it’s not difficult to see why the platform attracts more than its fair share of trolls – individuals whose presence on Twitter only serves to disrupt and denigrate the content posted by others. One of Twitter’s most appealing qualities was its ability to allow everyday people to engage with famous faces on an equal platform. These days, many once-prominent celebrities like Kanye West and Emma Stone have stopped using the site altogether, finding it irrelevant in comparison to other rising social media platforms. If this trend continues, Twitter may lose some of its core followers who access the site to follow and interact with their most loved celebrity or political figure. 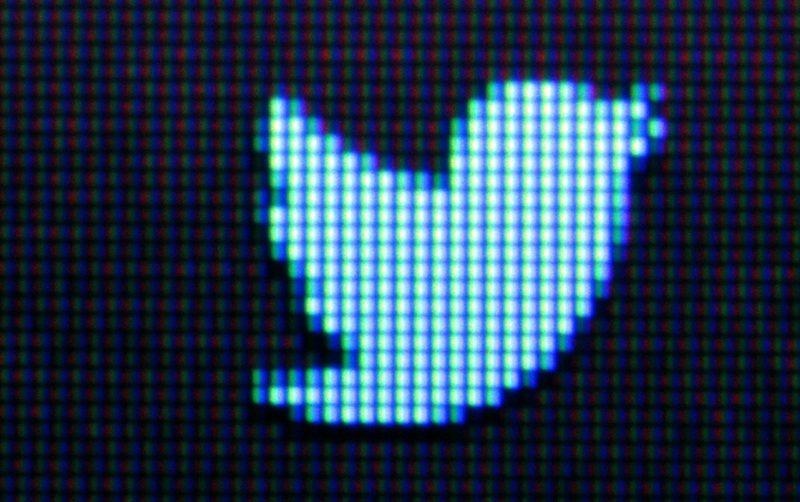 The Twitter hashtag remains one of the sites’ most valuable and most used features. It seems that many millions of us fell in love with Twitter’s instantly recognisable symbol and won’t be giving it up anytime soon. For millennials, the word ‘hashtag’ has become part of their vocabulary, used in daily life rather than solely through the site. Though Twitter does have some issues, the statistics speak for themselves. Twitter has over 30 million active monthly users and remains the third most popular social network worldwide. With this in mind, the site’s creators probably aren’t too worried just yet. As social media sites morph into hybrids (gaming apps, online dating platforms etc) the ultra- simple yet highly effective premise of Twitter may be what keeps users hooked for generations to come.